Description: To celebrate the launch of Hong Kong’s community service week, Serve-a-thon, families will come together to pack and create essential items for local communities in need including children from low-income and asylum seeking families, under-privileged elderly and the city’s homeless. This special family morning will involve the sorting and packing of necessity items pre-collected by ESF schools as well as gift-card creation and the making of recycled bags and mats for the homeless—all in support of the local community! Charity partners benefiting from this effort include Christian Action, The Hub, ImpactHK,  and at least 150 elderly from five elderly centers in different districts. Remarks:This family volunteer activity is for children aged 5+ years accompanied by an adult. 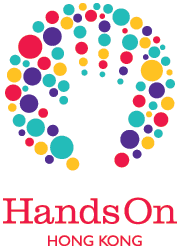 The guardian should sign up to this activity (after registering with HandsOn Hong Kong) and either send an email to hohk@handsonhongkong.org to sign up your child or kindly create a profile of your child to sign he/her up in the system.